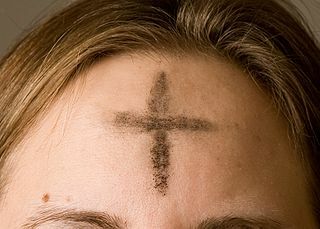 Today is Ash Wednesday, the start of the season of Lent. Both the day and the season are somber. At our 7 p.m. service tonight, there will be a point where I take a mixture of palm ashes and olive oil and, neatly as I can, use my thumb to make black crosses on the foreheads of all who come forward. I don’t know how much it readies them for the season—like any liturgical act, it means more to some than to others—but I know it readies me. I have applied the ashes and said these words to people I helped bury just a few months later. I have applied the ashes and said these words to children, including my own children, and have become teary-eyed at the very idea that people so fresh and full of promise will come to an earthly end. Ash Wednesday begins the cold shower following our warm Christmas soak. Our minds should return to our core problem, laid out in Genesis 3: Sin separates us from God, and what is separate from God ultimately must die. Without Easter’s clear way out of this mess, the Lenten season would be unbearable. We want to be careful not to rush toward Easter’s light, however. Freedom is hard to appreciate until we understand what we have escaped.